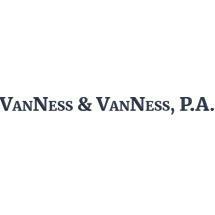 VanNess & VanNess, P.A., headquartered in Crystal River, is an important Central Florida resource for information about mesothelioma and asbestos exposure. If you have been diagnosed with mesothelioma, you know it is a serious and deadly disease. Many contract the disease working in a high-risk industry. If so, it is not too late to obtain compensation for your family for the wrong that has been done. While no cure for malignant mesothelioma is currently known, there are treatments available, involving surgery, chemotherapy and radiation therapy. Most mesothelioma victims are working people who must cope with two emergencies, their own serious illness and the future of their families. Too often, family savings are drained by medical bills, and the victim dies, leaving the family without significant support. There are options available to you to minimize the financial downturn, which VanNess & VanNess can discuss with you. With over 100 years of combined legal experience, and with a nationwide network of legal and medical resources, VanNess & VanNess, P.A., provides valuable counsel to mesothelioma victims and their families. VanNess & VanNess has successfully handled numerous mesothelioma cases, and has access to data about exposure and companies responsible for exposure that other firms don't have. We invite you to call, and to describe your mesothelioma experience.